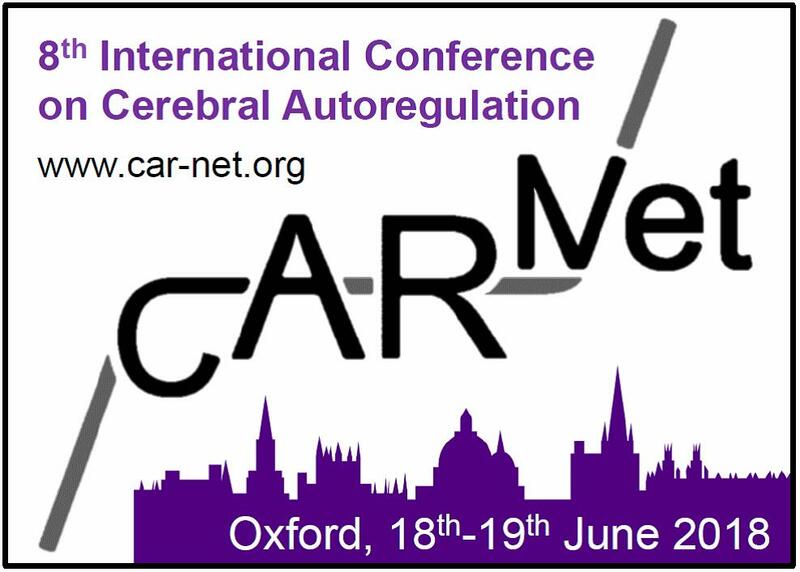 This conference is organised by the Cerebral Autoregulation Research Network (CARNet ), an international multidisciplinary network including now over 140 scientists worldwide, in collaboration with the Institute of Physics and Engineering in Medicine (IPEM). This conference will cover the broad range of regulatory physiological mechanisms that maintain cerebral blood flow at appropriate levels in health and disease, and will include physiology, clinical applications and the engineering, physics and mathematical modelling that underpins mechanisms and measurements. Cerebral blood flow is driven by blood pressure, arterial carbon dioxide levels, neuronal activation and cerebral metabolism, intracranial pressure, vasomotion, activity of the sympathetic nervous system, posture and many other physiological determinants. While cerebral autoregulation refers primarily to the physiological mechanisms that maintain blood flow during changes in blood pressure, the meeting will encompass the wider field of cerebral haemodynamic regulation, including areas such as CO2 reactivity, neurovascular coupling and intracranial pressure control. All those working on the control of blood flow in the brain; medical physicists, biomedical engineers, physiologists and clinicians. There will be a group dinner in Oxford on the evening of Monday 18th June. This is free of charge for 2 day attendees, or £35 for 1 day attendees. If you would like to attend the dinner, please indicate in your online booking. If you are in Oxford on the Sunday evening, an informal get-together has been arranged so you can meet up with other delegates. This will take place at the Head of the River pub in Oxford (http://www.headoftheriveroxford.co.uk/) where a space has been reserved from 7pm. To give us an idea of numbers, please email IPEM Conferences to indicate if you are planning to come. If you booked hotel accommodation via IPEM as part of your booking, confirmation details will be emailed to you before the event. This conference will take place at the Department of Engineering Science, Thom Building, University of Oxford, Parks Road, Oxford, OX1 3PJ. For a google map showing the location of the conference venue, click here. For additional maps and further travel information, visit the Department of Engineering Science website. Oxford railway station is approximately 1 mile or 20 minutes walk from the Department of Engineering Science, or a short taxi ride. Heathrow and Birmingham airports have direct transport links into Oxford. Train service from Birmingham International to Oxford takes approx 60 mins, and bus service from Heathrow to Oxford takes about 90 minutes.